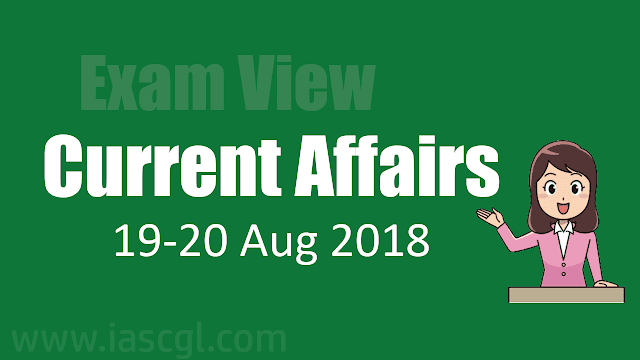 The Union Government on August 13, 2018 dismissed Usha Ananthasubramanian, former CEO/ MD of Allahabad Bank and scam hit Punjab National Bank (PNB), from service. 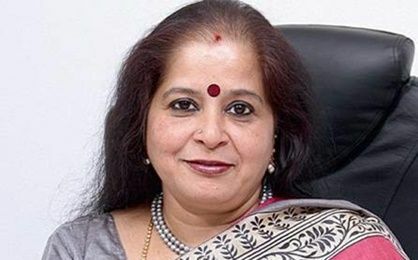 Though the Allahabad Bank had divested Ananthasubramanian of all her powers as MD three months back, after she was named in the CBI charge-sheet in the Rs 14,000 crore PNB fraud case, she had continued to be an employee of the bank. She was dismissed from service on the day when she was supposed to superannuate. Sundari, the Royal Bengal tigress brought from Madhya Pradesh’s Bandhavgarh Tiger Reserve was released into Satkosia Tiger Reserve (STR). 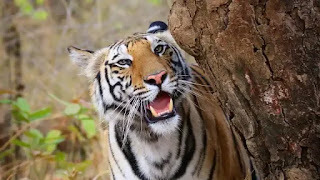 Sundari was kept inside a closed and protected enclosure and was released into the wild in presence of Principal Chief Conservator of Forests (PCCF), Additional PCCF and other officials of Forest department. Sundari was kept inside a closed and protected enclosure and was released into the wild in presence of Principal Chief Conservator of Forests (PCCF), Additional PCCF and other officials of Forest department yesterday. PhonePe has partnered with the IRCTC to facilitate payments on the IRCTC Rail connect Android app. The partnership will enable PhonePe’s 100 million plus users to pay from their bank accounts using UPI, credit, debit cards and also the PhonePe wallet for their travel bookings. PhonePe will be able to access a sizeable share of the near 700,000 e-ticket bookings made every day on IRCTC. In May, we reported that of the reported 700,000 bookings, 100,000 or 14% were paid for via Paytm, which made it the leading payment mode for train ticket purchases at the time. World Humanitarian Day 2018 observed globally: to pay tribute to workers who risk their lives in humanitarian services and to gather support for people affected by crises around the world. Every year Aug 19 is observed as World Humanitarian Day. On August 19, 2003, a terrorist attack had hit the United Nations headquarters in Baghdad, Iraq. The bombing killed 22 people including UN Representative in Iraq, Sergio Vieira de Mello. Five years later in 2008, the United Nations General Assembly adopted a resolution designating 19 August as World Humanitarian Day. On August 19, It was a mixed day for India on Day two of the 18th Asian Games in Indonesia today. A dominating Bajrang Punia opened India's gold medal account by defeating Japan's Daichi Takatani 11-8 in the final of Men's Freestyle 65 kg. category. This brought relief to the Indian camp which was jolted by the early exit of star wrestler Sushil Kumar today. Sushil lost his qualification bout 3-5 to Bahrain's Adam Batirov in the 74 kg. category. India opened its medal account with a bronze by Apurvi Chandela and Ravi Kumar in rifle mixed team shooting event. China tops the medals tally with 16, including 7 gold. Japan is second in the tally with 13 medals, including 3 gold. Korea getting 8 medals, including 2 gold , is at third spot. India is in sixth position with 2 medals, including one gold. Imran Khan took oath as Pakistan’s Prime Minister at a simple ceremony at the President’s House in Islamabad on Saturday, assuming the reins at a time when the country is grappling with a currency crisis and uneasy ties with its neighbours. Army chief, Gen Qamar Bajwa, and former Indian cricketer, Navjot Singh Sidhu, who were seen embracing in television footage, were part of the audience. Wasim Akram and other members of the 1992 cricket World Cup winning team captained by Khan also attended the ceremony. The Airports Authority of India’s move to set up a water aerodrome in Odisha’s Chilika Lake has stirred a controversy. Green activists and fishermen in Chilika have all opposed the proposal to set up an aerodrome in one of Asia’s largest brackish water lagoons, asserting that it would impact the lake’s biodiversity. Prafulla Samantara, winner of the Goldman Environmental Prize, has accused the Centre and the State governments of tinkering with the biodiversity of the lagoon, which is designated a Ramsar site – wetland of international importance under the Ramsar Convention. The endangered Irrawaddy dolphins found in Chilika are sensitive to sound pollution. Migratory birds in Chilika lake may also be affected. National Payments Corporation of India (NPCI) launched Unified Payments Interface (UPI) 2.0 with overdraft facility. UPI 2.0 will allow linking of overdraft accounts; blocking payment through one time mandate; and sending invoices with payments. The expected feature would help the credit industry to pull amounts due and made payments more seamless. UPI 1.0 allowed users to link only saving accounts. The upgrade will allow the users (i.e., the merchants) to link their overdraft (OD) accounts to UPI, enabling them to continue withdrawing money even if the account doesn’t have sufficient funds. This will allow merchants to take credit through these OD accounts.